Forget Harley-Davidson, not only is Indian the oldest bike manufacturer in the good ol’ US of A, it’s also undoubtedly the coolest. 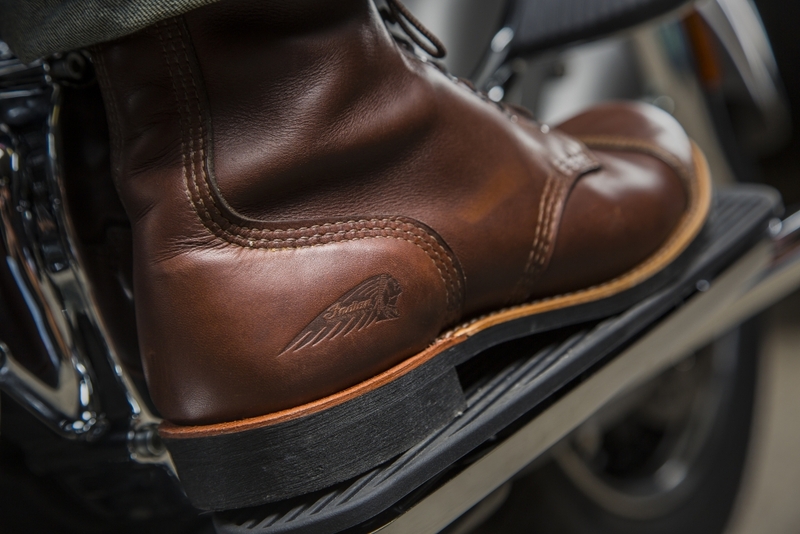 Teaming up with fellow Minnesotans, Red Wing Shoes, Indian has recently launched a subzero range of new boots that crank up the fresh factor even further. Leading the way are the Spirit Lake kicks (pictured), named after Indian’s factory in the city of the same name. 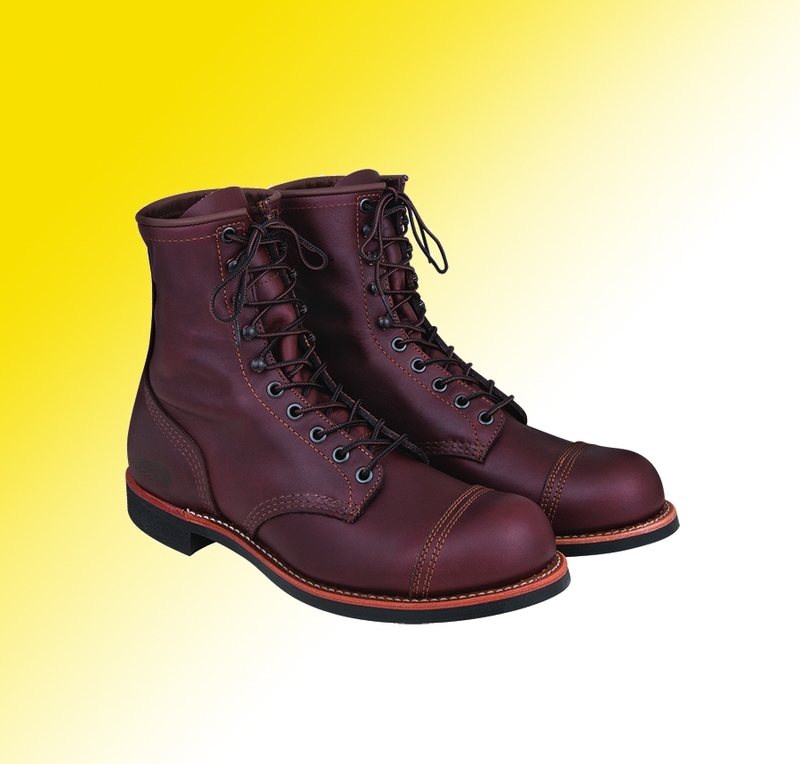 The handcrafted, eight-inch lace-ups take their styling from Red Wing’s Iron Ranger shoes but add a Vibram 430 sole to provide unparalleled grip on your ride’s foot pegs. There’s also a double layer toe cap so that your digits don’t get destroyed should you have an unfortunate encounter with the tarmac, while it’s the little details like the embossed Indian Chief emblem on each heel that has captured our keen aesthetic eye. You wouldn’t ever want to be caught dead at your favourite watering hole in some motorcycle boots however, the ‘Amber Portage’ leather and gunmetal eyelets of the Spirit Lake strides mean they look as ace on the street as they do on the bike. Prices for the range (which also includes the 12-inch ‘Worthington’ boots and womens-specific ‘Connelly’ strides) haven’t been announced yet but these fresh mud-kickers will be landing in Indian Motorcycle dealerships imminently.